Adapted from: Vegetarian Times Magazine. This is a simple and delicious dessert. In a food processor combine oats, flour, cinnamon and brown sugar and give a few good chops until oats are ground. In a bowl combine butter and add mixture from the food processor and mix until dough is crumbly. Butter the bottom of a pie plate and press the dough to the bottom and sides. Place pan in the oven and bake 15 minutes or until crust is slightly golden. For the filling beat together eggs, Â¼ cup sugar and vanilla. Beat in the milk until smooth. 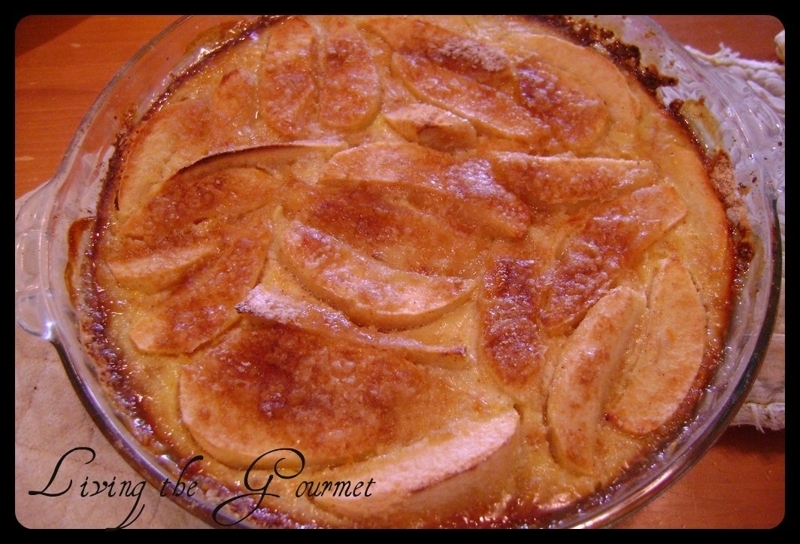 Arrange the apple wedges on the bottom of the crust and pour the filling into the crust. Sprinkle the combined topping on the pie and return to the oven for another 30-40 minutes, or until the filling is set. I made this pie crust tonight for a peanut butter cream pie. It was very easy to prepare. I found it to be a great alternative to a graham cracker crust. 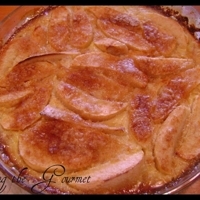 I've never had apple custard pie but this made my mouth water:) And only 6 steps involved, this is going on my recipes to try list! this looks great I'll have to try it. Simple and delicious. Thanks for sharing! Catherine, having been out of commercial kitchens for a couple years now- the department at my workplace in my new career hosts a "Pi Day" every March 14th. Since the 14th falls on a Sunday this year- it'll be on the 15th. And I'm seriously thinking of making this pie for my entry- gonna try it at home first later this week. Sounds SO yummy! I am so happy you enjoyed it Kathy!